There are few symbols more important in the comic universe than Captain America's SHIELD. Who ever holds the Shield is seen as Captain America and thus morally right. Even in gray and murky waters Captain America seems to strive to do the right thing, no matter what it costs him, or who he angers. At times this has put him against his own government, and his best friends. 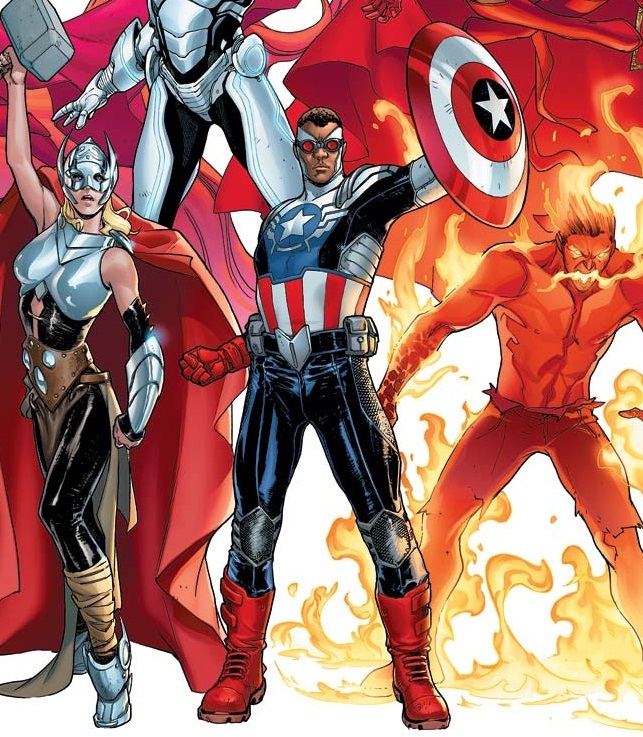 In the comics Steve Rogers has passed the SHIELD onto a few different characters. With each struggling to find the same clear, moral certainty of Steve. There are some speculating that Steve Rogers could end up dead in the Avengers sequel, others think he could die in Captain America 3, others think he may just retire. This is due for a few reason first Chris Evans will need to be replaced after Captain America 3 or have a renegotiated contract. There is also a foreboding picture going around of Captain America's SHIELD being broken. There is a growing feeling though that another character will be taking up the SHIELD during or after Captain America 3. 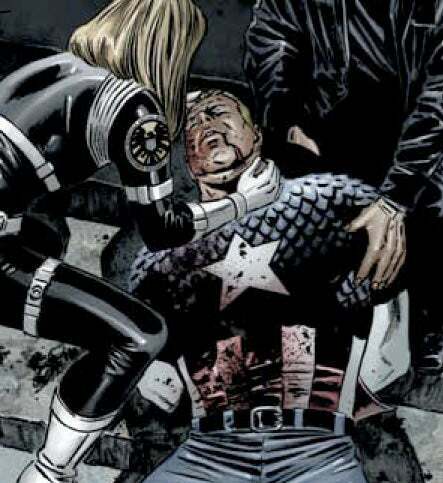 After Steve Rogers dies in the comics a reformed Bucky takes his place. He is a little more stealthy, and ruthless that Steve is. He also used guns along with the SHIELD. This seems the most likely to me as the Winter Soldier story line was being set up all the way back in Captain America I. After how well done and received the Winter Soldier was in Captain America 2 it is hard to imagine another character moving in Steve's shoes. Another longtime freind of Steve Rogers the Falcon has now taken up the SHIELD in the comics. He is now the Captain America in the upcoming Avengers team. I love this move in the comics and would love to see it in the cinematic universe but I think this move in the comics is too new. My guess is that script for Captain America 3 has been planned well before the announcements of Falcon taking over for Steve came out. Hawkeye is slotted to appear in Captain America 3, he may potentially fight Steve for some reason. It is possible that Renner would like to get a solo picture and one way to do that would be for Hawkeye to take over Captain America. This would be a major pivot from the Winter Soldier storyline but would be a fun surprise and could certainly work on screen. I think this option is slightly less likely the Falcon option. One option I see as a strong possibility is that Hawkeye comes into conflict with the new Captain America. Perhaps, he initially disagree with the pick and wants to test them. This leads to a fight between the two.